Tesco Superstore is prominently situated in Pembrokeshire Retail Park on London Road, approximately a 0.41 mile drive east of the centre of Pembroke Dock (a few minutes walk from St. Govans Shopping Centre and Pembroke Dock Community School). This supermarket serves the shoppers of Cosheston, Neyland, Lamphey, Pembroke Dock, Pembroke, Monkton, Grove, Pennar and Hundleton. If you would like to drop in today (Friday), its hours of business are 6:00 am - midnight. 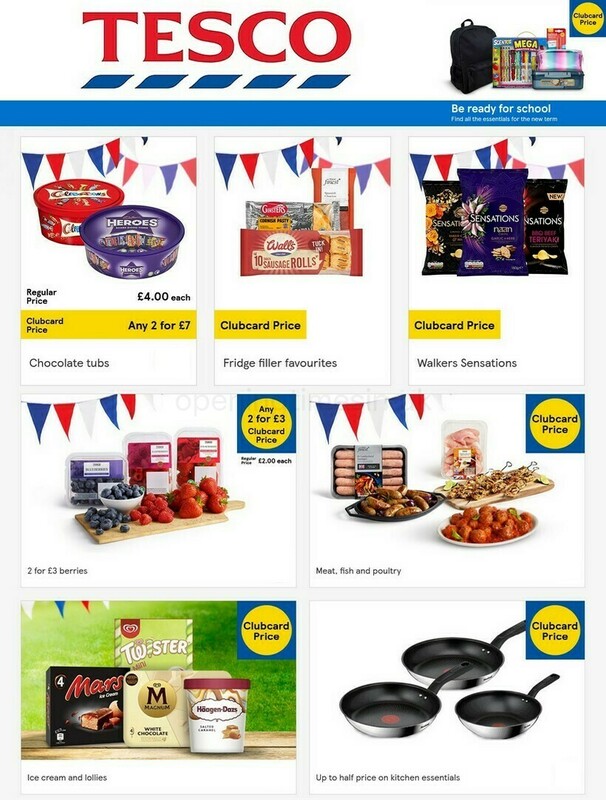 Read the specifics on this page for TESCO Pembroke Dock, including the hours of operation, address details, direct phone and more. Tesco Superstore occupies an ideal place right near the crossroads of London Road and Charles Thomas Avenue, in Pembroke, Pembrokeshire, at Pembrokeshire Retail Park. 1 minute drive time from Ferry Lane, Waterloo Road or Western Way; a 3 minute drive from Pembroke Road or Cleddau Bridge; and a 9 minute drive time from Upper Lamphey Road and Honeyborough Road. If you are using route finder systems, use the postcode SA72 6DS. Buses run directly to Tesco and Pembroke Dock Station. The following routes will take you here: 349, 356, 361, 387, 388 and National Express. The train stops at Pembroke Dock Station (890 ft away). Easily catch the Arriva Trains Wales line. In the neighbourhood you can find Waterloo Industrial Estate, Monkton Priory Community Primary School, Honeyborough Business Park, South Pembrokeshire Golf Club, Memorial Park, Neyland Community School and Pembroke Castle. Including this store, TESCO now has 1 location in Pembroke Dock, Dyfed. Click here to go to a full list of all TESCO stores near Pembroke Dock. Please note, standard business hours for TESCO in Pembroke Dock may not be valid during legal holidays. In 2019 these changes involve Christmas, Boxing Day, Good Friday or August Bank Holiday. For more information about the seasonal working times for TESCO Pembroke Dock, go to the official site or phone the customer service line at 0800 50 5555. Accessible baby changing facilities are available in-store. Disabled parking facilities are available. Fully accessible toilets are available within our store. Facilities are available for people with mobility impairment. Wheelchair assistance is possible in our store. Assistance dogs are welcome in our store. Facilities are available for people who are visually impaired. Including large print and braille. While shopping at TESCO, be sure to go see the additional fine quality stores in Pembrokeshire Retail Park. At this place you'll also find Argos, McDonald's, B&M and a few others. We are working to deliver you with the latest information as possible. Should you find mistakes in the address description or business times for TESCO in Pembroke Dock, please let us know by making use of the report a problem form. Help future patrons by ranking TESCO with the star rating system. You may also post your comments in the box provided below.